Modern technologies allow you make your house comfortable and artistic, where almost any your designer fantasy can be fulfilled. 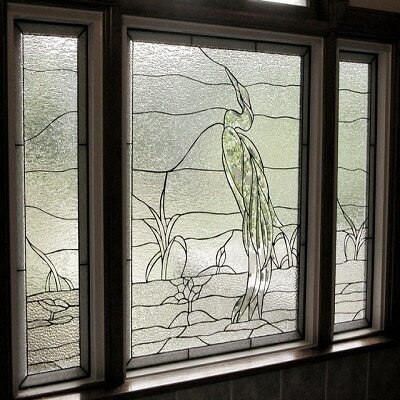 Using decorative and stained glass you can give a fantastic look to visible places like entry, bathroom, bedroom or kitchen. 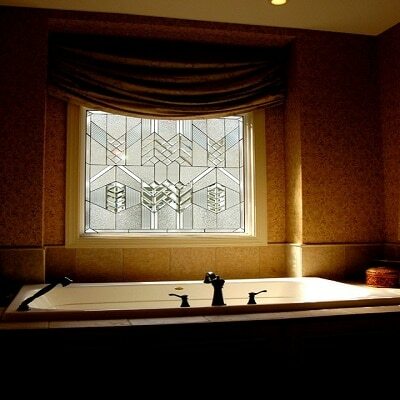 Stained glass is a great option if you would like to increase the privacy of your dwelling. Moreover, the abundance of modern materials makes it possible for you not only to decorate your room, but also to reduce your energy expenses, as low-e glass can be used for this purpose. Simple transparent glass is not the only variant any longer – make your windows creative and personalize your house, using frosted, architectural, textured, or graphic colored glass. You have the opportunity to choose from a number of styles and patterns, like including floral, renaissance, craftsman, fluer-de-lis, geometric and cathedral and many others. Decorated glass window can visually change even the smallest and plainest house, giving it a touch of elegance and style, yet not depriving you from the daylight and privacy. If you are thinking of changing something in your house but cannot decide what to start with – why not change the windows turning them into a piece of art? Of course, you may use stained glass for your office, conference halls, lobbies and other places requiring privacy and exquisite decoration. Our company offers you all the range of service, including window design, installation, repair works or replacement. 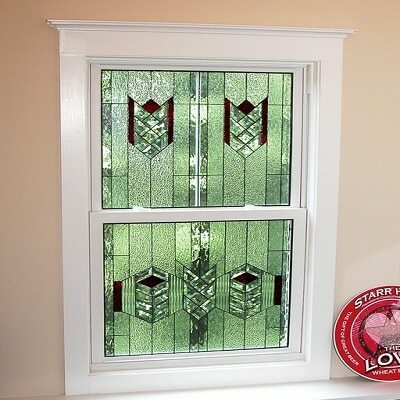 We work with any window sizes and shapes, including customer or non-standard ones.